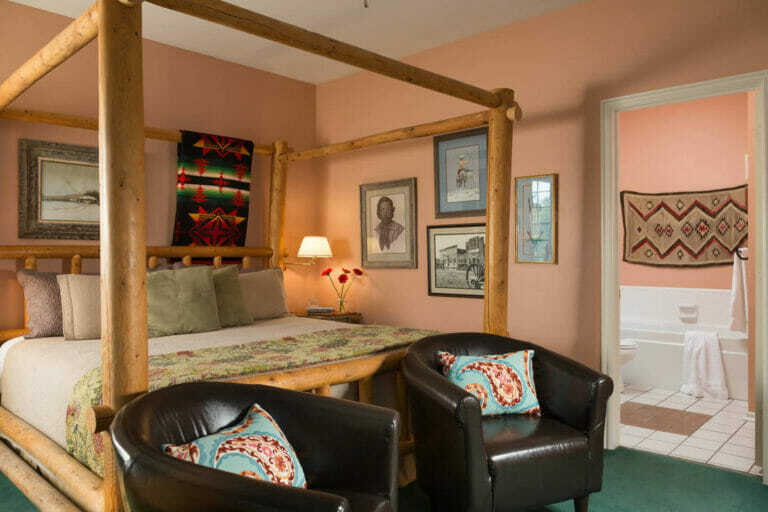 Part tranquil getaway, part history museum, the Chickasaw Rancher is one of the most requested upstairs rooms. You can take in the history of early day Native American life and ranching in Indian Territory. 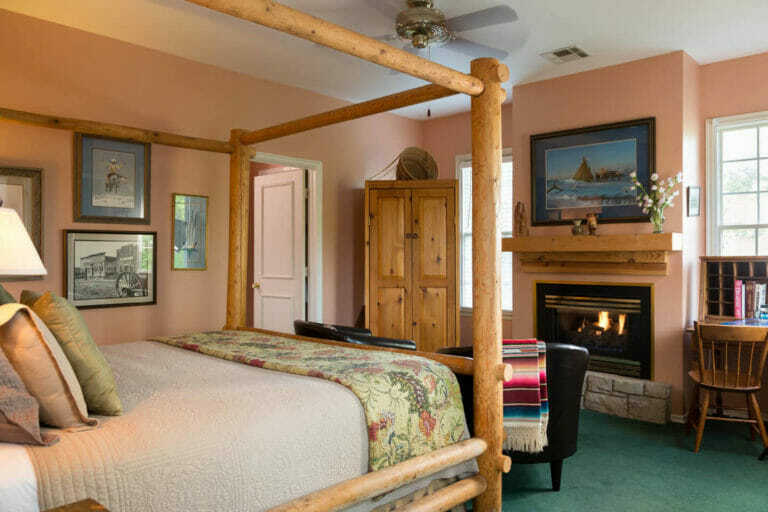 Relaxation and renewal take shape in the large fireplace, jetted tub and separate shower, and Ponderosa pine king-size canopy bed. This room is sure to be the best history lesson and luxury hotel room combination in Norman, OK. This room is located on the 2nd floor of the Montford Inn.